Trigger warning: Assassination Nation is going to try to rile you up. Hell — it will rile you up. Glossy, yet unabashedly dirty, Sam Levinson’s assault of the senses isn’t pulling any punches. Initially off-putting with how much it wants you to know that, Assassination Nation eventually settles into its overarching critiques on society to create a story about the breaking point where social media and conservative culture meet, and more importantly, combust. Assassination Nation is not a subtle movie. Its narrative is focused on revealing modern day hypocrisies and criticizing witch hunt mentalities — fitting, since the film is set in Salem and stars four young ladies who the town eventually turns on. As the hacker reveals more and darker secrets, not everything Levinson is trying to convey works. Or maybe that’s just me being too conservative? This is a film that feels designed to be critic-proof, but it’s easy to spot the flaws in its execution. That’s not to say it’s a bad movie; on the contrary, there’s a prominent teacher who becomes ostracized by the community of Salem for a reason that I believe Levinson is trying to say is not justified — or rather, that the context matters and we can’t just assail people with accusations without all the information. It’s a point that I wholly agree within the context, and watching the victim try to figure out how to get out of the mess they’re in — and ultimately fail (everyone fails once accused) — ushers in a feeling of empathy in a movie where virtually no character has any empathy. From the halfway point, Assassination Nation starts ratcheting up its talking points until finally hitting its glorious third act, a crescendo of violence and mayhem that is hard not to enjoy on just a purely visceral level. The entire film is shot and edited so well and with such a unique flair that it finally pays off with content that befits the aesthetic. Imagine The Purge meets social media, and you’ve got Assassination Nation. All of its female leads are incredible, including Odessa Young (who also starred in A Million Little Pieces at TIFF, and is quickly making a name for herself) and Hari Nef, whose character has a hardened look at the world while conveying an emotional intensity and fragility at the same time. Meanwhile, Odessa Young’s performance is one that wildly moves between manic and subdued as the pressure is applied. Lily is a character that fits so perfectly with both Levinson’s subject matter and the way in which the film is put together. 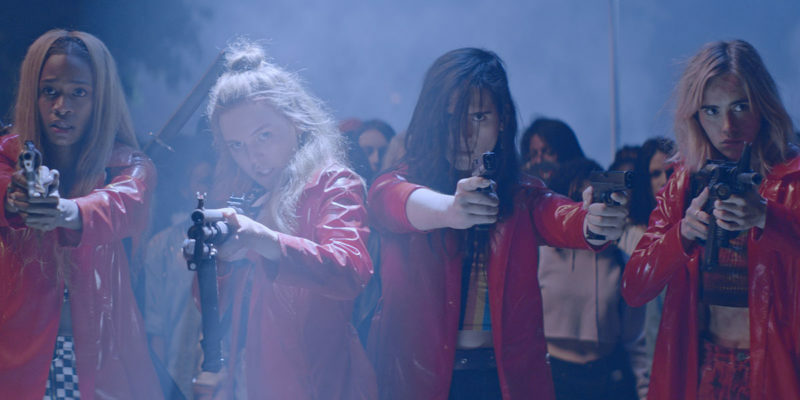 Situating Assassination Nation in Salem, Massachusetts is probably the most brilliant idea the film has, but it’s also a movie brimming to the top with material to mine. It doesn’t quite excavate all it has to offer, but it’s enough to make audiences think. Sam Levinson broaches topics that are intended to provoke a reaction, and while I think the whole is greater than all of its parts, it is impressive that it can constantly evoke something worth talking about. If nothing else, the third act is the payoff that all those trigger warnings needed. It’s a midnight movie aimed specifically at provoking the 21st century. 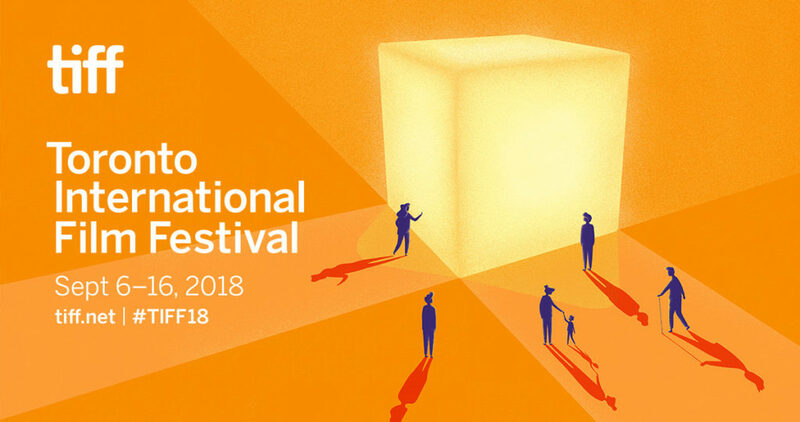 The Toronto International Film Festival runs September 6 – September 16. Visit the official website for more information.